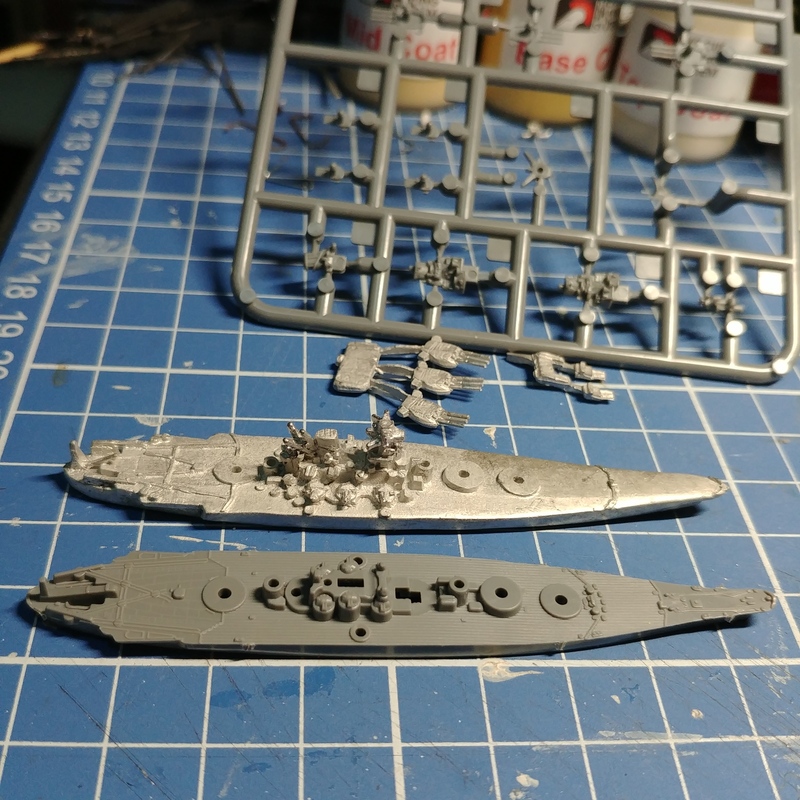 I received my Christmas gift to myself from Navwar. Seven fleet packs were included (World War 2 Argentinian and Brazilian and Dutch, Italian, French, UK and US modern). Here we have a brief look at the contents of each pack. 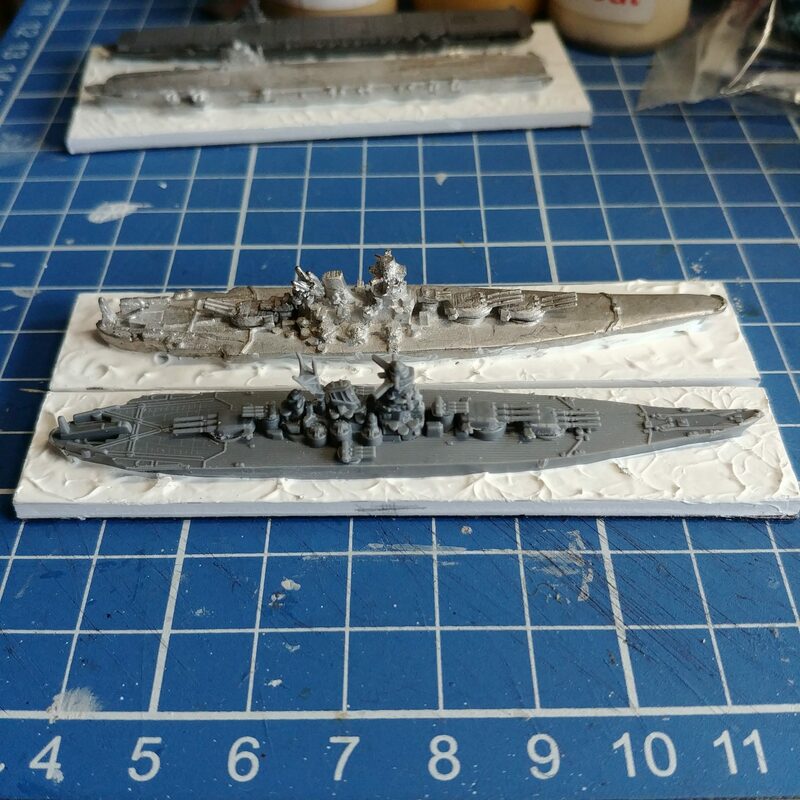 I will show more as I prepare each pack for painting … but first I need to finish Anthony’s 20mm World War 2 Brits. I received a parcel from Hobby Link Japan this past week. See what it contains. I will look in more detail at the contents in another few days. 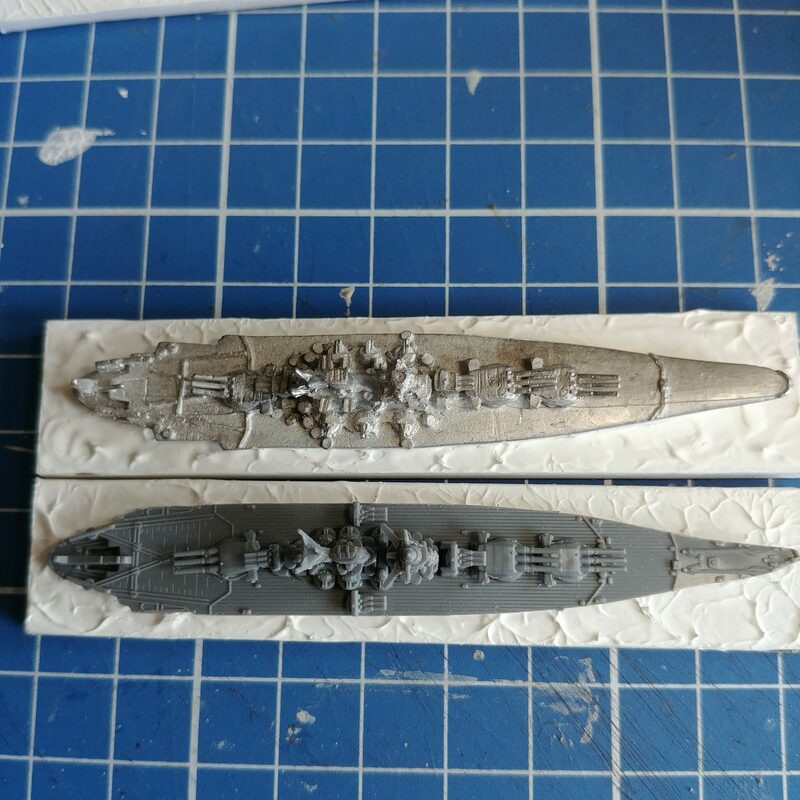 I have been working a little on two of the Fujimi ships as well as the equivalent Navwar vessels, getting them ready for paint in between bouts of coughing, sneezing, sleeping and putting up with a nose running like Usain Bolt. 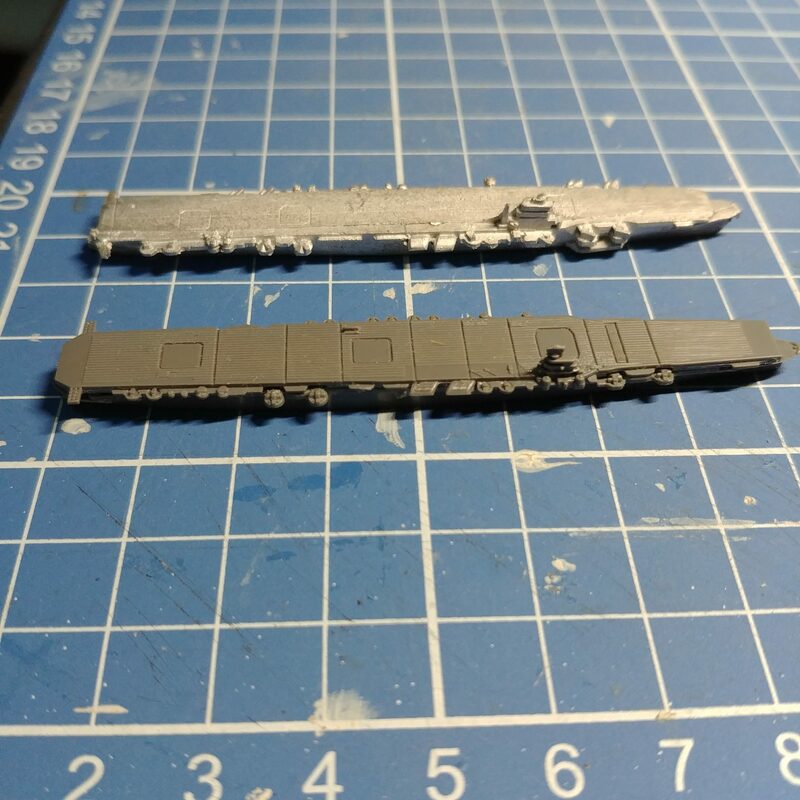 The Fujimi vessels came from Hobby Link Japan. The metal vessels are Navwar. 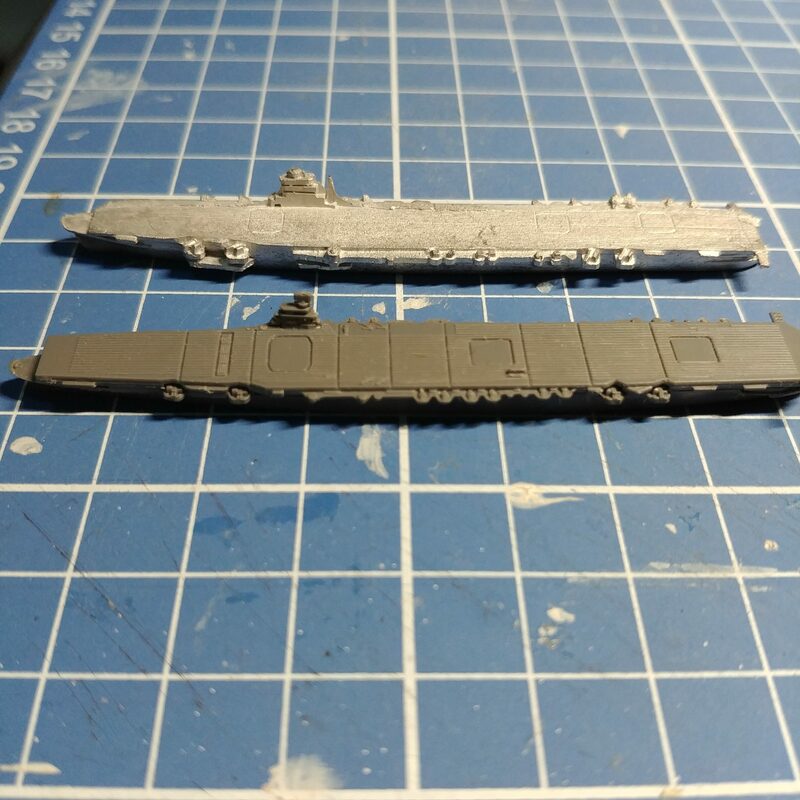 The vessels are the carrier Shōkaku and the battleship Yamato. 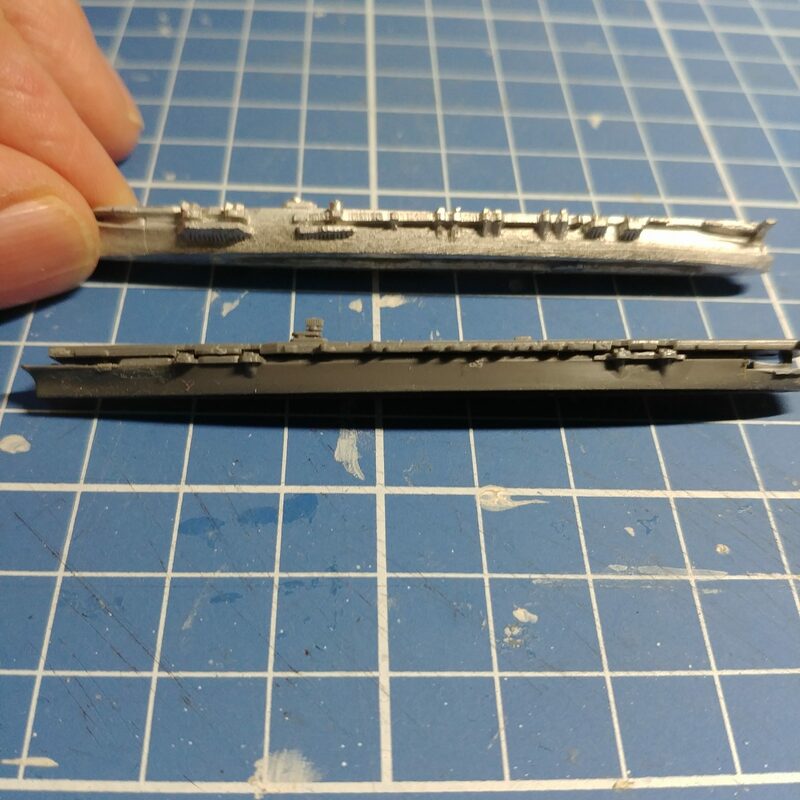 They have been attached to bases and the start of a sea surface added. I will get around to painting later this week or early next week. Waiting for me at the Post Office today was a parcel from the Naval Institute Press. Posted on 20 July 2018 in the US it arrived at my local post office here about a week ago I guess and the note from the Post Office telling me I had a parcel was received last Friday. What a book! Firstly I should note that the actual size of the book is the same as each of Mal Wright’s British and Commonwealth Warship Camouflage of WW II series so sits nicely next to them on the bookshelf. Secondly, this is the first major work on Italian Naval Camouflage of World War 2 in English that I am aware of. There have been some minor publications over the years and references in books ostensibly on other topics as well as Italian language publications (such as La Mimetizzazione della Navi Italiane 1940-1945) but this is the first in English and that makes this information more generally available. One particular area of interest to me in among many areas of interest were the colours used on MAS, Motor Boats and VAS along with the colours used by Italian submaries which carried a number of different schemes. Each chapter is lavishly illustrated with contemporary photographs, some in early colour. Unlike other publications concerning World War 2 the photographs used to illustrate here are good quality, and the detail in those photographs is quite clear. Looking at the section on battleships (and who doesn’t like these Queens of the Seas) there is a brief discussion of battleship camouflage, noting that Littorio was the first battleship to receive a camouflage scheme in March 1941. Other ships receiving the camouflage are then listed. Also noted in this short section is the repainting of Veneto, Italia (ex-Littorio) Duilio and Doria in the Allied two-colour livery later in the war. What then follows is the best part of the book – the CAD drawings of vessels and their camouflage schemes. The drawings generally show the starboard side of a vessel and provide a brief description of the camouflage scheme used, including, where possible, the creator of the scheme. The CAD drawing also displays the scale of the drawing and there are multiple drawings of the same ship indicating the changes to the camouflage scheme used over time. For example, Guilio Cesare is illustrated at 1:900 scale as she appeared in December 1941, January 1942, May 1942, June 1942 (this time with port and starboard views), June 1943 (also port and starboard views) and lastly in 1949 when she was transferred to the Soviet Navy, renamed Novorossiysk and painted Soviet grey. Other vessels that were captured by the Germans are shown in both Regia Marina camouflage as well as Kriegsmarine camouflage. I am certain that this book does not illustrate every vessel in Regia Marina Service but it certainly appears to cover all vessels from gunboat size and above. The book also contains a useful (if you speak Italian) bibliography, acknowledgments and best of the reference sections, an index of ships throughout the book. 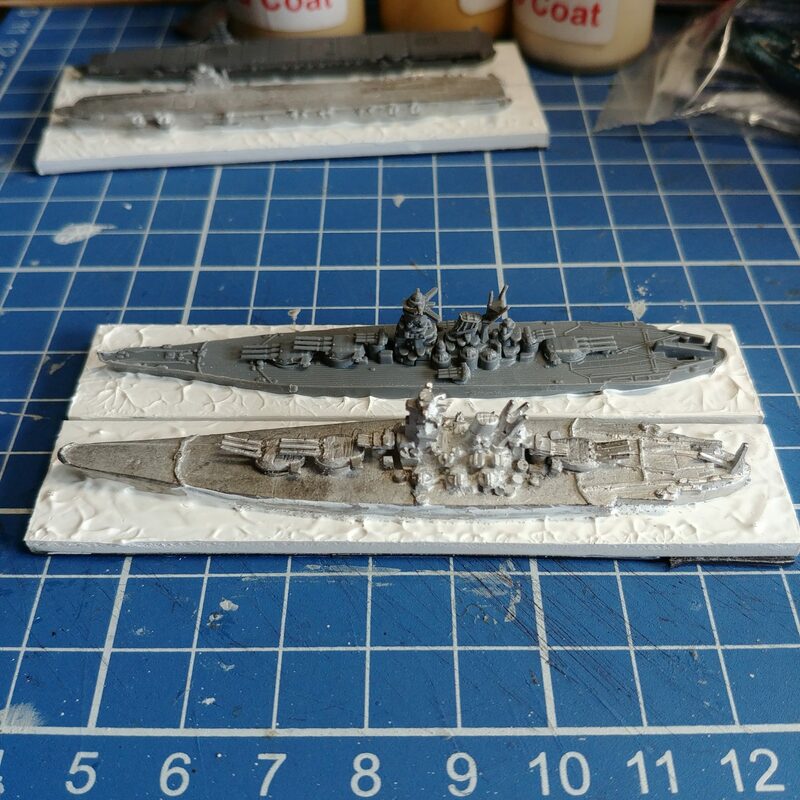 Given the number of clashes between the Royal Navy and the Regia Marina in the Mediterranean in World War 2, Mal Wright’s British and Commonwealth Warship Camouflage of WW II series would be a perfect companion. I really can’t find enough superlatives to describe this book. It certainly belongs on the bookshelf of anyone interested in World War 2 naval history, particularly either the Regia Marina or naval camouflage. If I needed to rate this book out of five, I would have no hesitation giving it 6 stars out of 5. Brilliant book, simply brilliant. 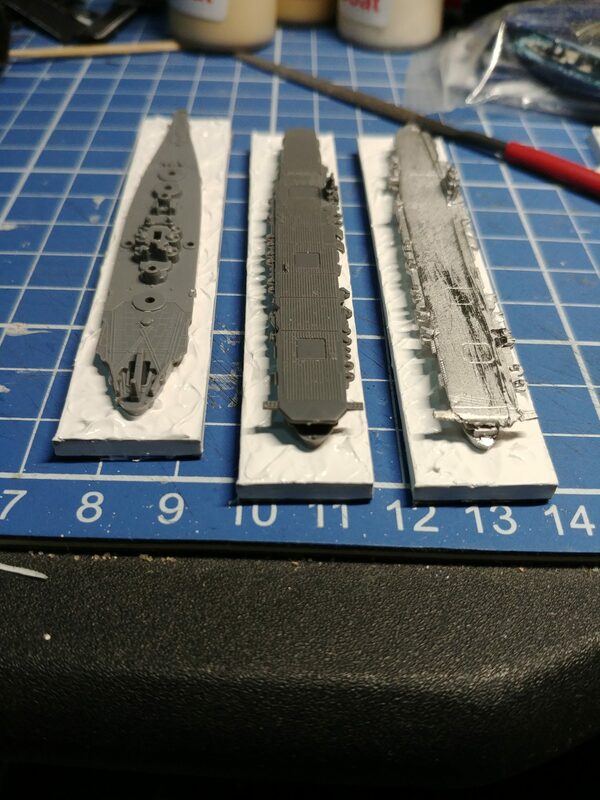 I received a parcel from Navwar with some ships present. Two fleet packs were included (World War 1 Russia and Modern Soviet) as well as a number of individual Dutch World War 2 vessels. Here we have a look at them as well as a brief look at the painting table. Comments are welcome and I have started to get a little better. Written by Paul Thomas and published by Pen & Sword Military as part of the Images of War Books Series, ISBN: 9781473896178 and published on 15 November 2017, this book contains 132 pages with a number of rare photographs from wartime archives, as well as photos of AFVs still existing. 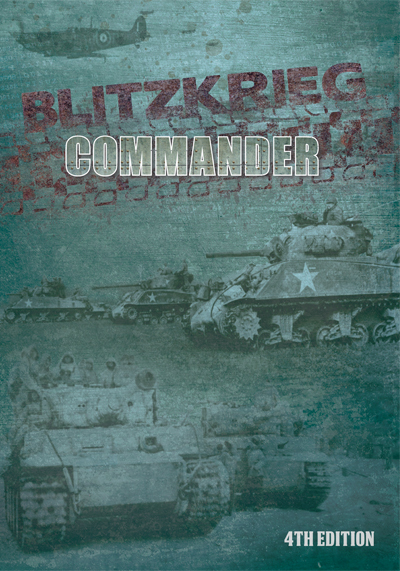 The book is split into an Introduction, then three chapters covering the panzerjäger development and deployment of panzerjägers followed by a chapter on the destruction of the panzerjäger in 1945. Finally there is an Appendix which lists the various panzerjäger vehicles over the period of the war. The book follows the usual format of the Images of War series with more contemporary photos than text. Many of the photos are rare photos from wartime archives. There are some great photos of vehicles in this book, including knocked-out vehicles. Like previous works in this series, this book is one for the bookshelf of anyone interested in the development and deployment of AFVs though the Second World War.